Berlin-based WeVestor Digital has launched and is offering a platform for entrepreneurial investors. It calls itself a fintech company builder and explains that its mission is to “bring together all the essential business areas of an investment bank, such as asset management, corporate finance, asset management, real estate financing and credit brokerage on a digital platform”. The firm is in its very early stages and is currently looking for a senior developer. FinTech Futures contacted WeVestor for more details. A spokesperson told us that each of its ventures that it sets up will have their own business and operating model. It will have competition in Germany in this “builder” space. FinLeap, also based in Berlin, has been around a while and is doing quite well. 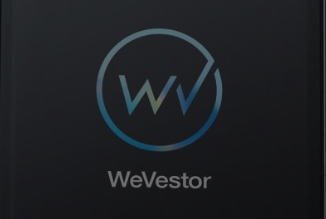 WeVestor intends to launch its initial services in Q4 this year – and is currently “in a testing period with family and friends”. While the firm is new, the team behind its foundation has plenty of experience in fintech. Jens Siebert, MD, has worked at Bundesverband der Deutschen Volksbanken und Raiffeisenbanken (The National Association of German Cooperative Banks); and at KPMG. Andreas Leckelt is chairman, and his experience includes the role of CEO at investment firm Comvest Holding. Lars Kalwitzke is another MD at WeVestor and works at Comvest Holding as a CFO. Expansion to Japan and London is the next objective.